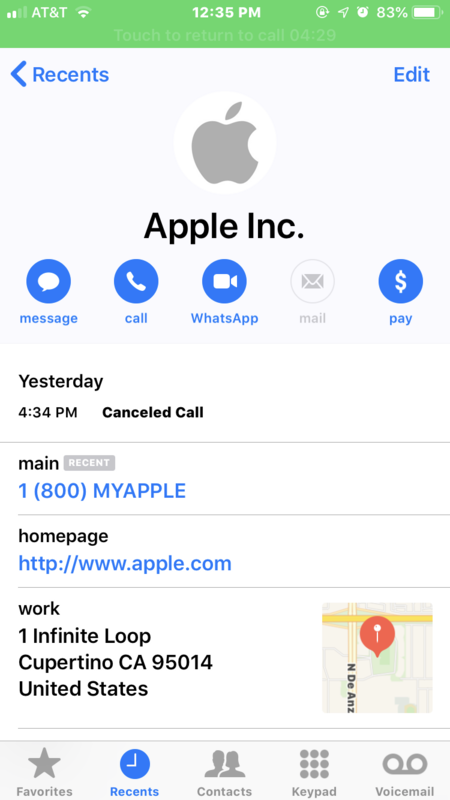 Note in the above screen shot that it lists Apple’s actual street address, their real customer support number, and the real Apple.com domain (albeit without the “s” at the end of “http://&#8221;). The same caller ID information showed up when she answered the scammers’ call this morning. Westby said she immediately went to the Apple.com support page (https://apple.co/2GUyClX) and requested to have a customer support person call her back. 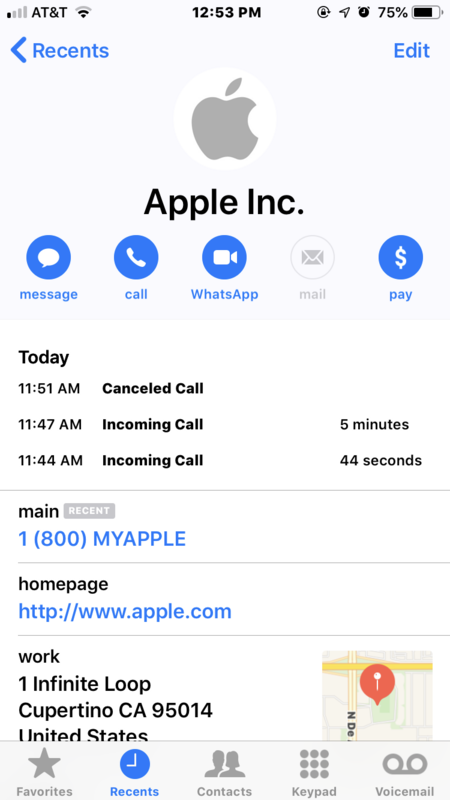 The page displayed a “case ID” to track her inquiry, and just a few minutes later someone from the real Apple Inc. called her and referenced that case ID number at the start of the call.